Physicists in Japan have made the best study yet of the gamma rays that are produced in the minutes leading up to a lightning flash. 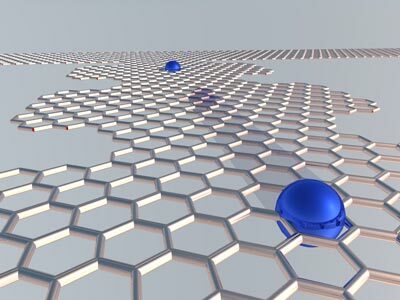 In addition, the team also observed for the first time emissions that ended abruptly less than a second before the exact moment the flash occurs. The finding provides important information about the relationship between the mysterious atmospheric accelerators that produce the gamma rays and the lightning that we see in the sky. 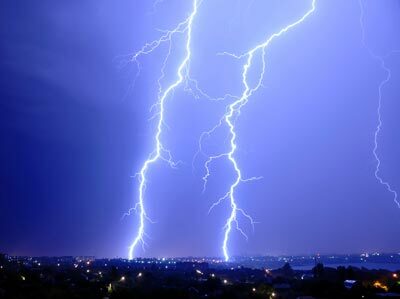 Physicists have known for some time that gamma rays are sometimes produced when lightning strikes. Indeed, gamma-ray pulses from thunderclouds that vary in length from sub-millisecond to several minutes have been detected for the last 30 years. 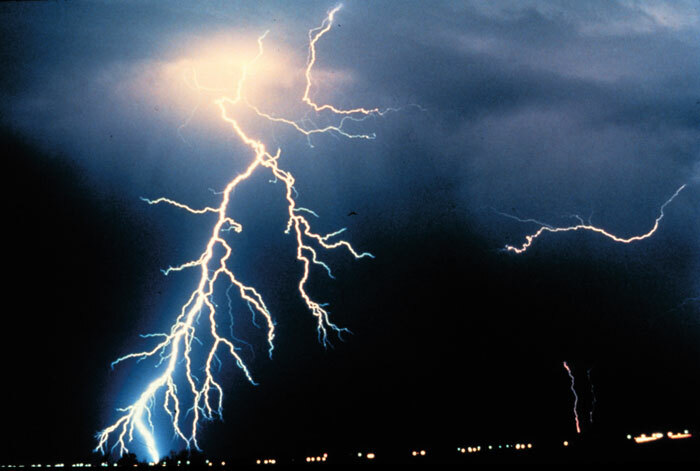 Most researchers agree that there are two types of bursts: very short, higher-energy bursts that coincide with lightning; and longer, lower-energy pulses that are sometimes not associated with a specific lightning event. While all of these bursts are thought to be created when charged particles are accelerated by the huge electric fields that build up in a thundercloud, the exact mechanism – or mechanisms – that produce them remains a mystery. In this latest study, Harufumi Tsuchiya of the RIKEN High-energy Astrophysics Laboratory and colleagues at several other Japanese institutes looked at data collected in 2010 by the Gamma-Ray Observation of Winter THunderclouds (GROWTH) experiment at the Kashiwazaki-Kariwa nuclear power plant. The experiment includes several different gamma-ray detectors that are used in tandem with plastic detectors – the latter ensuring that charged particles such as muons are not mistaken for gamma rays. 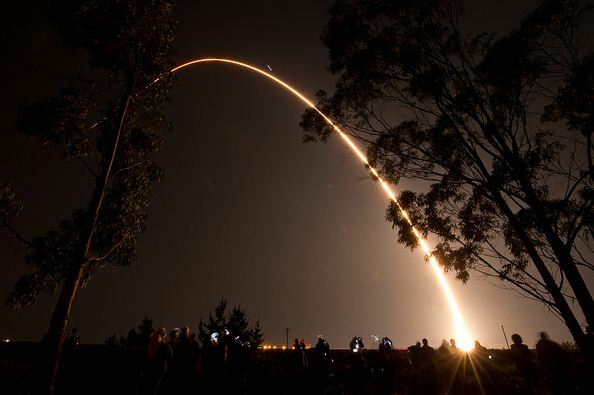 The system detected gamma rays at energies between 40 keV and 30 MeV…..
Satellites, balloon-borne instruments and ground-based devices make 30 million observations of the atmosphere each day. Yet these measurements still give an incomplete picture of the complex interactions within Earth’s atmosphere. Enter climate models. Through mathematical experiments, modelers can move Earth forward or backward in time to create a dynamic portrait of the planet. NASA Goddard’s Global Modeling and Assimilation Office recently ran a simulation of the atmosphere that captured how winds whip aerosols around the world. Such simulations allow scientists to better understand how these tiny particulates travel in the atmosphere and influence weather and climate. 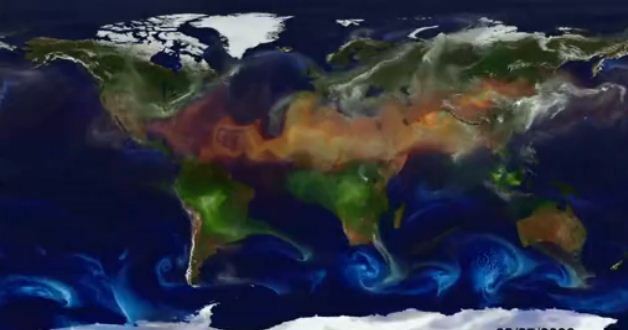 In this visualization, covering August 2006 to April 2007, watch as dust and sea salt swirl inside cyclones, carbon bursts from fires, sulfate streams from volcanoes—and see how these aerosols paint the modeled world. NASA has released a video that highlights where snow graced the Earth every month for over the past ten years. 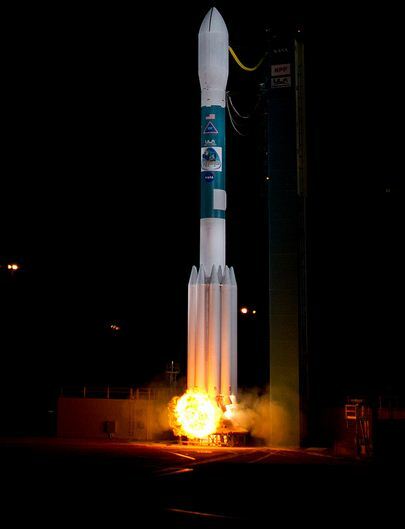 NASA’s National Polar-orbiting Operational Environmental Satellite System Preparatory Project (NPP) spacecraft was launched aboard a Delta II rocket at 5:48 a.m. EDT today, on a mission to measure both global climate changes and key weather variables. 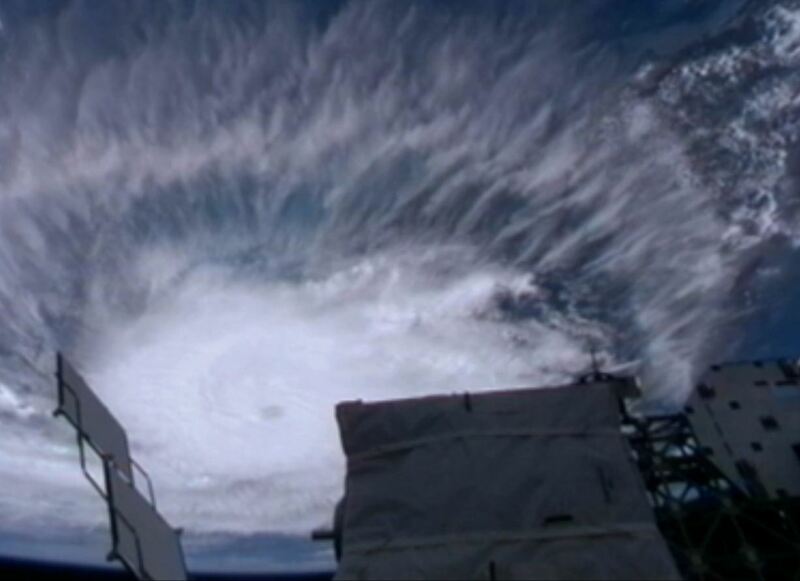 External cameras on the International Space Station captured views of Hurricane Rina at 2:39 p.m. EDT on Oct. 25, 2011, as the complex flew 248 miles over the Caribbean Sea east of Belize.